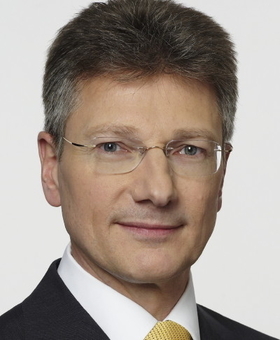 Elmar Degenhart moves to Continental from Schaeffler Group. MUNICH (Reuters) -- Continental AG has a new CEO following a major shake-up of its top management. Karl-Thomas Neumann will be replaced by Elmar Degenhart, the company said in a statement Wednesday. Degenhart, 50, moves to Continental from controlling shareholder Schaeffler Group, where he was CEO of the company's automotive business. The new CEO also will head Continental's money-losing powertrain division. Labor representatives on Continental's supervisory board dropped opposition to Neumann's dismissal, the Financial Times Deutschland reported on Wednesday, without citing sources. With just one vote of dissent from the 10 union representatives, the board voted to install Degenhart as the new CEO, the newspaper say. Rolf Koerfer, a Schaeffler appointee, will resign from his position as chairman of Continental's supervisory board in the mid-term and hand over responsibility to an independent board member after a new finance chief is appointed, the company said in a statement. Continental's board was expected to fire Neumann today and also drop Koerfer as part of a deal to end a feud between the two companies. Sources had told Reuters that Schaeffler had offered to remove its boardroom ally, Koerfer, as chairman in exchange for gaining consent from the board's labor representatives to dismiss Neumann. Neumann, 48, is the second Continental CEO to go in 12 months after Manfred Wennemer quit when he lost a power struggle with Schaeffler. Neumann upset Schaeffler after he accused the German part supplier's owners and management of destroying Continental's value by blocking a merger of the two companies. The accusation appeared in a letter that was leaked to the German media. Schaeffler tried and failed to replace Neumann in late July, but the board's 10 labor representatives opposed that move. In other personnel moves made Wednesday, the board appointed three Continental executives to the company's executive board. Joining the board are: Ralf Cramer, 43, who heads Continental's chassis and safety division; Helmut Matschi, 46, who leads the company's interior division; and Nikolai Setzer, 38, who is in charge of Conti's passenger and light truck tires unit. On Wednesday, the board also confirmed its July 30 authorization for management to prepare a possible capital increase, the FTD wrote. Creditor banks believe there is a real risk the new CEO will cancel management's plans to raise fresh equity, since Schaeffler cannot afford to subscribe to new shares, meaning its stake would be significantly diluted.